A good business model tells the story of how an organization works and creates value that not only engages customers but also internal players. Deliver products or services with high margins.3 Profit tells you whether your business model is working. Higher margins come from process innovation or product/service innovation. Process innovation is a better way of making, selling or distributing an already proven product or service. Product innovation is designing a new product or service to fulfill an unmet need. Difficult to imitate. Business models don’t work alone; strategy is what sets an organization apart from the competition. Establishing a key differentiator will help build barriers to entry that protect profit streams.4 A successful business model tells a better story than alternatives. Grounded in reality.5 A successful model means tying numbers and modeling the behavior of the business so accurate assumptions can be made about customer behavior. Above all, successful business models generate virtuous cycles, or feedback loops, that are self-reinforcing.7 A virtuous cycle is created when management invests in innovation and engages its people by training and empowering them to deliver superior service to customers. This results in a compelling story, or more so, an epic tale. 3-5. 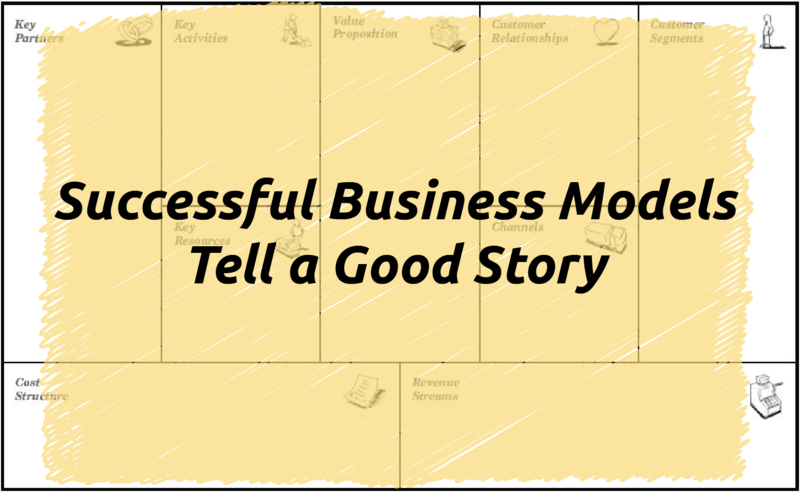 What Makes a Good Business Model? Can Yours Stand the Test of Change? 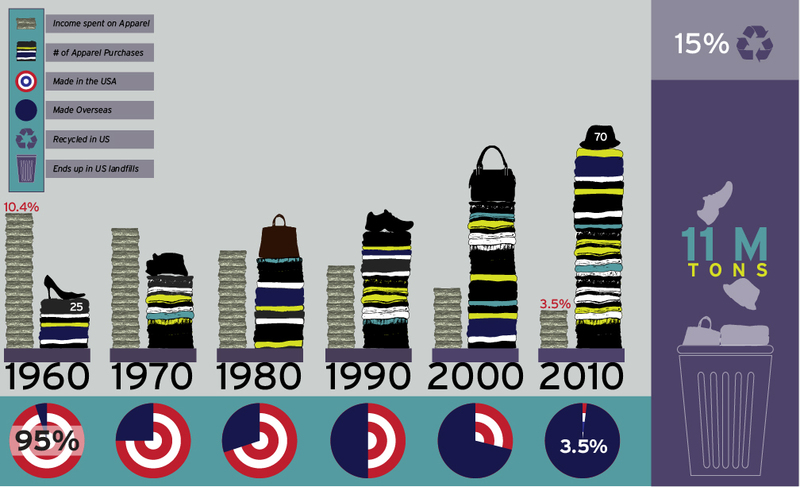 Fast fashion – But at what Cost? We love buying our cheap stuff, and lots of it! Americans buy more clothes than ever before yet spend less money. Thanks to Fast Fashion, high fashion is now accessible and affordable, only it’s cheaply made and disposable. Our closets are packed with it! Are there a few items in your closet that collect dust while you wait for the right occasion, the style to make a comeback, or the day you drop those pounds? Maybe there’s an item or two that has never been worn with tags still on, or worn once, and so you decide to keep it? Let’s say we donate our items, our hope is that it goes to someone needy, right? Unfortunately, charities don’t have the capacity to house and sell all the wearable unwanted clothes and donations continue to grow. A majority of donated clothing does not end up in resale shops, or as insulation, or as commercial rags, they are exported, mostly to Sub-Saharan Africa. Definitely big business, but the final destination doesn’t seem to change, most end up in landfills anyways. Overseas buyers are savvier now due to the Internet and as income rises, they aren’t interested in cheap clothes; they cherry pick the best stuff. Wow – so how did we get here?! Fast fashion has its grasp on Americans. We simply expect to buy cheap and ‘of the minute’ trendy. Technology has made it easy to see the latest fashions online and so consumers are conditioned to expect a steady stream of styles. And more brands are trying to cash in on this mentality. Over the past 20 years, fashion brands have changed in a number of ways to boost sales, often cutting corners. Seasons got shorter. Many retailers have switched from launching new lines every 6 months to 3 months and some to even 3 weeks to stay abreast of the trends. Zara, for example, has perfected their time to market by owning the entire supply-chain and listening to customers ensuring they come back to buy the new styles. Speed over quality. The need to be ‘in style’ at the cheapest price possible, has led to shorter lead times and low quality goods. Designed to be disposable, many items don’t last past a few washes. Mass production to batch production. Besides “trendy,” consumers expect novelty. Quantity per SKU has dropped to reduce inventory investment and instead create a scarcity premium, often encouraging impulse purchases. Knock offs are common. It’s true, it’s hard to be original nowadays, but you have to try first. Some retailers are bypassing the creative process and borrowing from High Fashion. However many of the culprits change the designs ‘just enough’ to skate away from copyright infringement. It’s a race to meet trends, so this speeds up their time to market over competitors. But is this going to last and what are the real costs? Fast fashion may be cheap, but the costs are high for our economy, the suppliers overseas, and our environment. US fashion production industry is disappearing. Although the US is the world’s largest garment-consuming industry, nearly all production of garments and fabrics have shifted overseas. We just can’t compete with their labor prices and so the industry is disappearing and so have the jobs. Overseas suppliers are overwhelmed & pressured to have the cheapest price, thus unethical work conditions are rampant. Brands and retailers place immense pressure on suppliers to deliver goods faster with shorter lead times, even if changes are requested at the last minute. No matter what, they must deliver on time. The cheap costs retailers pay don’t give the suppliers much wiggle room. Overseas garment factory workers are the ones that suffer with long hours, forced overtime, lack of job security, poverty wages, denial of trade union rights, poor health, exhaustion, sexual harassment and hazardous work environments.2 These workers are deprived of their internationally recognized basic rights resulting in tragedies like the recent one in Bangladesh. This past April, a garment factory collapsed and over 1100 workers were killed. They had complained about the poor conditions of the building, yet were forced to come to work. Fast fashion is harming our environment at an alarming rate. We are a culture of disposable clothing. Ending up in landfills isn’t the only issue; the production of fast fashion has led to global water contamination. Textile manufacturing consumes and pollutes, as much as 200 tons of water per ton of fabric.3 Seventy percent of the rivers, streams and reservoirs in China alone are contaminated.4 This strains our fresh water supply, as China is one of the most water-rich countries in the world. Buy quality over quantity. Does it really cost so much more if it lasts a lot longer? Donating is still better than dumping your old clothes in the trash. While you are at it, visit your local second hand shop and find a treasure. Organize a clothes swap party. There is no better way to update your wardrobe than by inviting friends, having a few laughs, and talking fashion. Be creative, up cycle! It’s fun to craft and create new looks with old clothes. Making creates meaning. You will be more apt to keep what you make. I shape, X shape, E shape, Pi shape, what’s up with all this talk about shapes? Let’s face it, the job market remains challenging, despite stronger hiring numbers for spring. There are 3.1 unemployed per job opening. In this competitive market, it’s no wonder why these conversations are happening. As one of the many looking for work, I try to keep abreast of what employers are looking for, particularly more innovative companies like IDEO, Apple, or Nike, and that be – T-Shaped People. So what does it mean to be T -shaped? Two characteristics stand out, as depicted in the letter T – vertically this person has a depth of skill and horizontally, a breadth of knowledge. 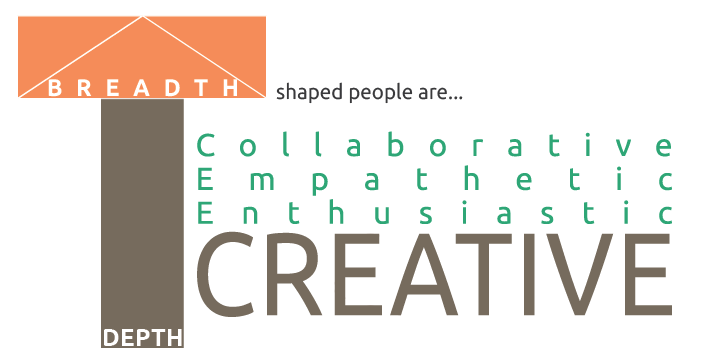 In other words, T-shaped individuals can really get their hands dirty in the creative process in whatever their expertise is in and they are collaborative with an array of working knowledge. This collaborative nature includes having an enthusiasm about other people’s disciplines as well as being empathetic – the ability to place yourself in someone else’s shoes. Why does this matter? This combo makes up an individual that can work with others to understand and solve problems effectively. In a time of rapidly changing markets and moving targets, this type of collaboration is, not only, productive but profitable. There’s no question, that strong leadership is important to make this work, as with anything – the advantage here is that they be T-shaped too. Additionally, something else happens in an environment where you are motivated, and can work together to care about understanding others… Meaningful work. You might just have a truly fulfilling job. And cultures like these – thrive.